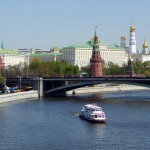 Within this tour you will be able to visit the main tourist attraction of the city – the Kremlin and explore the entire territory of the Kremlin which is open for visitors. Cathedral Square – the oldest square in the grounds of the Kremlin with Cathedral of first importance where Russian Tsars were born, baptized, crowned and buried, as well as two remarkable memorials –Tsar Bell and Tsar Canon. Armory museum – one of the oldest museum in Russia and the main treasury of the country that consists of nine halls and holds one of the most precious collection of Tzar belongings and carriages. Diamond fund museum – this museum displays Tzar treasures of Russian Empire, gold and platinum nuggets and works of Soviet jewelers.